Switching power supply, or switched-mode power supply (SMPS), is to utilize the electronic switching devices (such as transistor, MOFET, thyristor, etc.) for on and off constantly through the control circuit to make input voltage pulse modulation, so as to achieve DC/AC, DC/DC voltage conversion, output voltage adjustable and automatic voltage regulator. It is now widely applied to electronic devices by virtue of its outstanding performance in small size, light weight and high efficiency. The switching power supplies on ATO.com can convert universal AC input to DC output with short circuit, overload and overvoltage protection, complying with safety & EMC standards. 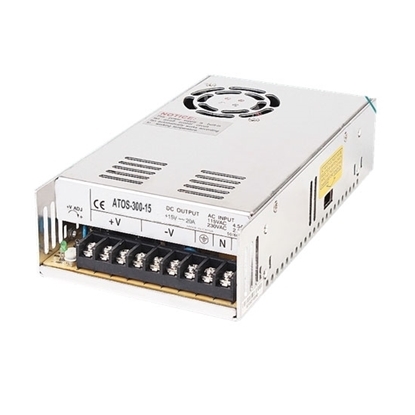 Switching power supply can convert 110V/220V AC to 5V DC with rated current 10A and rated power 50W, widely used in LED light strips, computers, printers and industrial equipment, etc. High quality and low price. High quality and low cost 50W switching power supply converts 110V/220V AC to 15V DC, with 3.4A rated current. It makes a good performance in home appliances, office equipment and industrial equipment. 24V DC 2.1A 50W switching power supply is universal AC input, low ripple & noise and safe in use. It is suitable for industry use with high reliability, high efficiency and low cost. 5VDC, 100W Switching power supply can transform full range of AC which can be selected by switch, rating current to 10A. Cheap and great switching power supply has high reliability with industry standards. This switching power supply converts AC to DC 12V, rated current 8.5A and rated power 100W, with built-in over voltage and overload protection. It's good quality and high performance, suitable for the tools such as electric saw, drilling Machine, weeding machine, air compressor etc. 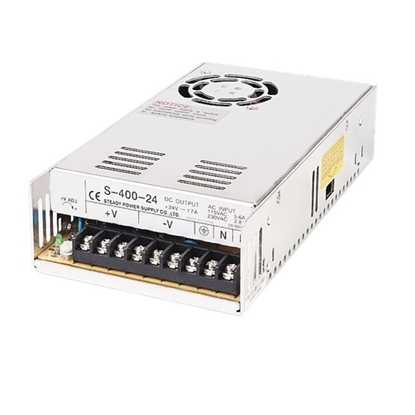 24V DC 4.5A 100W Switching Power Supply SMPS features dual input AC voltage selected by switch. It can well-perform in the industrial field like shipping, vehicle, metal halide lamp, solar system, wind power generation ect. with its low price and high quality. 100W Switching Power Supply is universal AC input to 48V DC with rated current 2A. It works in high performance of reliability and has a wide range of application in power tools, office equipment, home appliance and industrial equipment. Favorable price and high quality switching power supply 30A 150W converts 110V AC/220V AC to 5V DC. It is reliable SMPS in good working condition, widely used in home appliance like LED and industrial equipment such as sensors. Brand new 15V DC 10A 150W Switching Power Supply has dual input voltage: AC 110V/220V which is selectable by switch. It can keep the voltage stability and ensure the safety in use. Favorable price and high quality. 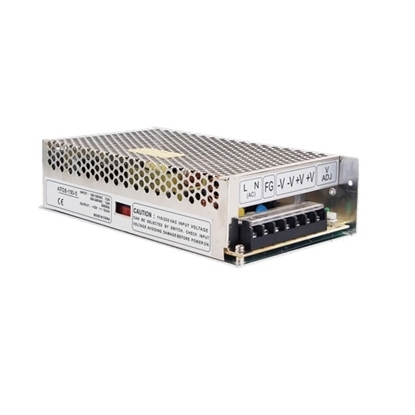 15V DC 20A 300W switching power supply can convert universal AC input to DC, cooling by built-in DC fan, and it is high price-effective, reliability with industry standards with a wide range of applications.